Home / UncategorizedImportance of space planning in interior designing!! Space planning is one of the most important aspects of interior design. It can have a very strong impact on the success of a room. Without proper planning, a room can end up awkward. Knowledge of furniture sizes and space allowances, some imagination and a sense of composition really help too. In a well-planned room space is used to its utmost effect. The room’s needs and functions are taken into consideration, and any difficult spaces or problem areas are dealt with. Your goal is to accomplish this beautifully, comfortably, tastefully, and so gracefully that the placement of all the objects in the room seems both obvious and surprising. 1: What are the functions of this room? Is it to be multi-functional? Gone are the days when rooms were allotted for specific utilities. Now, we can use one room for many purposes or have one space sectioned enough to collaborate different space usages. For example, a drawing space being connected to dining by providing small partition. So, decide the use and then make the decisions! 2: How many people will be using the space and for what purposes? It’s better to be clear about this so that you can determine your furniture type and tastes accordingly and practically design the areas. 3: What furniture do you have that you’ll want to use here? A good space planning includes the fact of considering reutilization of old stuff (existing furniture). 4: How do you want the room to feel, space-wise – open and airy, cozy, minimal, serene? We all have tastes of our own and a lot depends on the surroundings also. So, think about it as your home reflects your mood and taste. 5: How much natural light is available and what kinds of lighting will be needed? The provision of natural light is must and having it fully utilized, even better! But at times that does not seem feasible or acts as a hindrance in planning. So, try to make the most of it or decide what type and kind of lighting you prefer. 6: What are the focal points of the room and how can you take advantage of them? Every space has a center of attraction to it and once you decide that, you can manage to design things way better than before! 7: Do you need to create focal points? There are some cases in interior designing where a space has no focus anywhere and in that case, in order to raise the design value, we create new focal points to add a beauty to the space! 8: Any last wishes for the room? Ensure you carefully consider all your points and if it isn’t the way you wished for, it’s a waste! 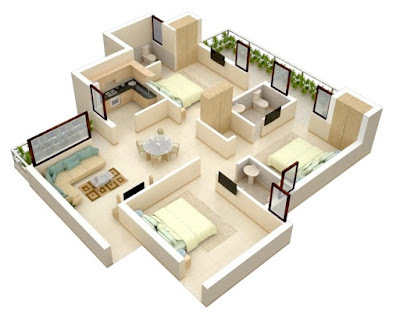 For better space planning, you have to hire experienced and skilled professional interior designers, who have been providing these services successfully for many years. A small space can be managed efficiently with help of them.So, it is very important to hire an interior designer for your home. ← Indian style Living Room ideas!! Space planning is extremely important for any interior design. I am very happy that you have shared this great information with everyone! Thanks a lot for it! Great post, thanks for sharing!